Almost three weeks ago, Party Poker NJ announced that they would be holding a Poker tourney on the 2nd of March with a guaranteed prize of $100k for this Sunday Major. When this announcement was made, many responded cautiously stating that the site was probably not likely to meet this prize money. Despite public skepticism, when the 2nd of March rolled around, over 600 players had registered for the Party Poker and Borgata hosted event. However, when the registration finally closed 786 players had registered to take part in the action. This boosted the prize money by a staggering $45,410. 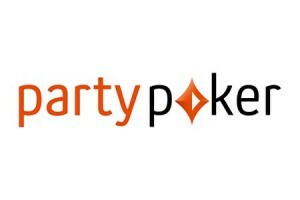 To date, Party Poker has been unsuccessful in filling seats for their Sunday Major but by adding a few changes such as an earlier starting time and a more top-heavy payout structure, players have started to flock to the Party. Once Party Poker had tweaked their blind structure, it seems they decided to take the bull by the horns and test how players would respond. It was for this reason that they organized the event for the 2nd of March and it seems their hunch was spot on. While all this seems very promising, the fact is New Jersey only has a population of 9 million which means that Party Poker will need to up their marketing tactics to maintain the interest that exploded during their recent tournament. UFC Fight Night 37, Gustafsson vs Manuwa. Don’t Miss This One!